Gardeners are facing bigger challenges than usual this spring due to a “perfect storm” of weather conditions that scorched evergreens, protected plant predators, elicited heavy use of road salts, and encouraged snow molds. The scorch or burn that has left patches of brown on arborvitae (Thuja), yews (Taxus), boxwoods (Buxus), and other evergreens is the worst and most widespread I’ve seen in my 29 years at the Chicago Botanic Garden. Branch damage from voles and rabbits is also particularly bad this year, and heavy and prolonged snow cover also promoted snow molds, creating bleached-out patches of lawn. Road salts put additional environmental stress on our landscaping. 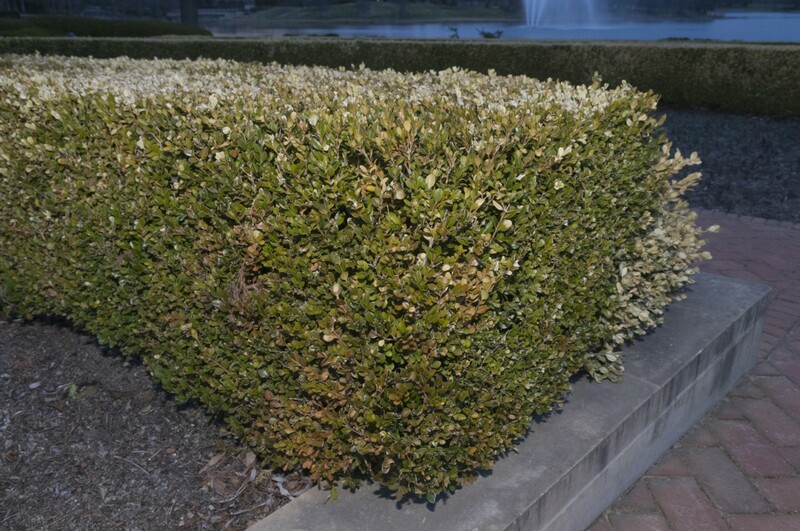 Although slow-growing, this boxwood (Buxus microphylla) should make a full recovery. The bad news is that more plant damage is likely to appear once the weather is consistently warm, though many plants will recover from the long, hard winter. While plants may have to be severely pruned or removed altogether, the polar vortex has given us a few important reminders about growing in the Chicago area and could ultimately make us all better gardeners. Winter was particularly hard on this Heatherbun white cedar (Chamaecyparis thyoides ‘Heatherbun’). During the cold winter months, evergreens continue to lose water vapor through their leaves or needles. The leaves must replace the water by pulling it up from the roots. But when the ground is frozen, the plants’ roots cannot absorb water to resupply the leaves. If the weather turns warm and sunny while the ground is frozen, evaporation from the leaves increases and the water cannot be replaced. The resulting symptoms, discolored or “burned” foliage, tend to show up quickly in spring, when days are sunny and warm. Bright winter sun and strong winds can accelerate evaporation, and it’s typical to see the worst burning on the west- and south-facing sides of a bush or tree. Signs of winter burn include needles or leaves that have turned golden or brown. Sometimes a plant has an overall yellowish or off-green color. Leaves may appear bleached. Salt sprayed up by passing traffic can exacerbate the problem and accentuate damage on the road-facing side of the plant. Many evergreens—particularly fast-growing varieties such as yews—will be fine after a light pruning. 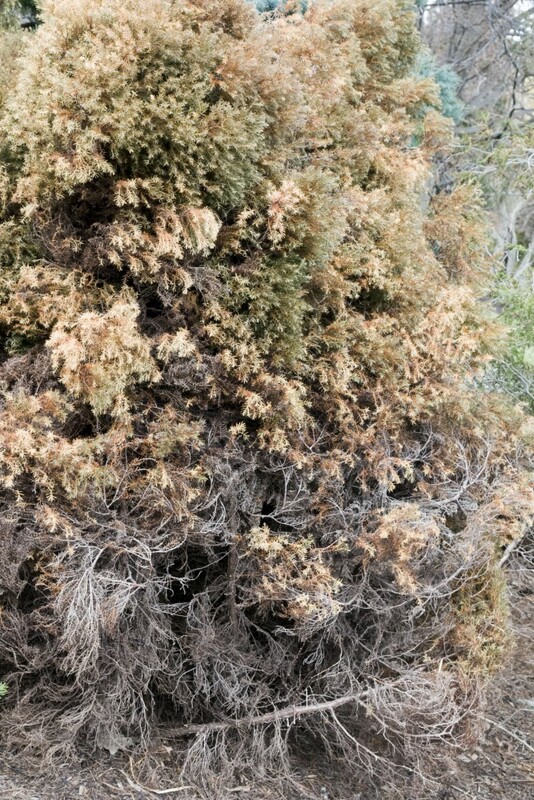 Deeply scorched plants will require heavy pruning, leaving unsightly “holes.” Slower growing evergreens may take years to recover from a severe winter burn, and gardeners must decide on a case-by-case basis whether it’s best to remove the specimen. Unfortunately, some evergreens will be a total loss. This is especially true for plants grown at the edge of the hardiness zone. To determine whether a bush is going to make it, look for new buds or lightly scratch a branch to look for signs of green wood. Patience is often a virtue in gardening, so if you have any doubt about a plant’s viability, give it some time. 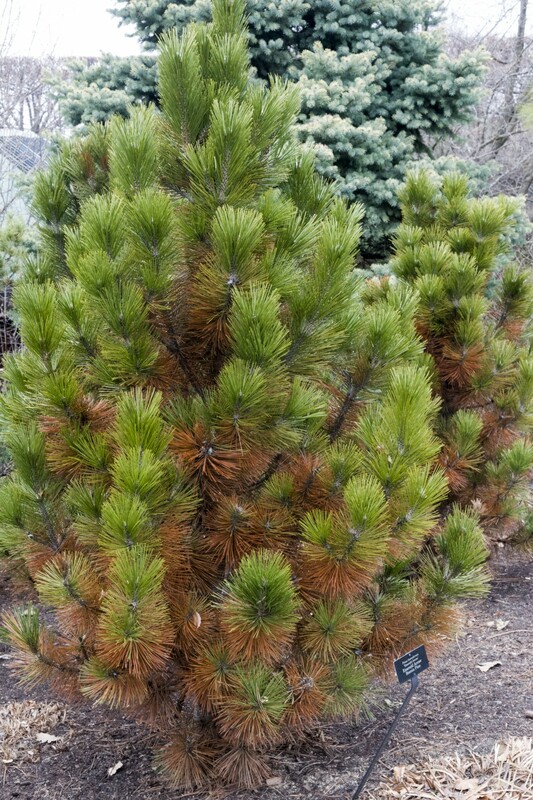 This Emerald Arrow Bosnian pine (Pinus leucodermis ‘Emerald Arrow’) also shows hard winter damage. The deep drifts of snow and prolonged snow cover were a boon to such plant predators as voles and rabbits. The blanket of snow shielded voles, mouse-sized creatures that travel under the snow, from hawks and other predators, leaving the creatures free to gnaw on branches and trunks. The drifts also provided a stepladder for rabbits, which feed on top of the snow, allowing them to reach higher into bushes. Signs of rabbit damage include a 45-degree cut in branches. Severe rabbit damage often looks like a bad pruning job, but gardeners can improve the situation by evening out the bush. Branches that have been girdled—or chewed all the way around—are likely to die and should be pruned back. The sparkling white drifts also promoted snow molds, which can leave large patches of dead-looking lawn. Typically, lawns will bounce back after raking and light fertilizer. Lawns damaged by salt spray might not recover as quickly, and strips growing along roads might need to be replaced altogether. 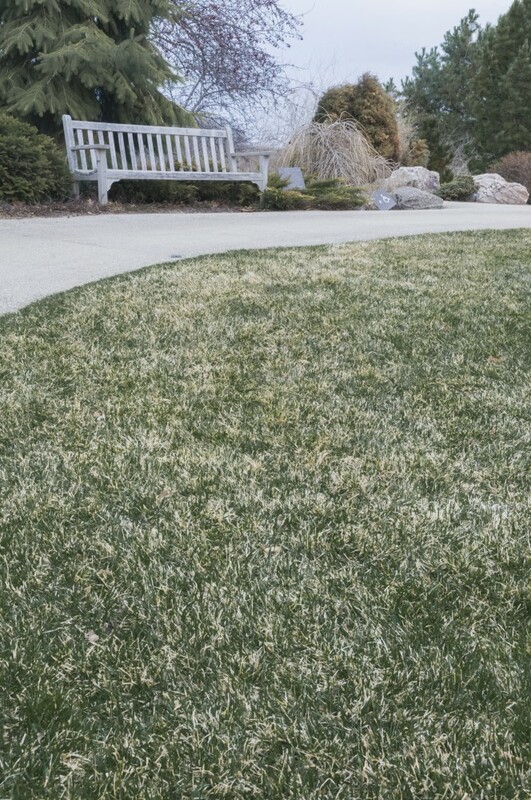 Grass showing winter damage will recover fairly quickly with attentive watering and care. It’s never good to lose a plant or shrub to the elements, but the polar vortex did provide the type of reality check that can lead to best gardening practices. In a relatively mild winter, Chicago-area gardeners may have success with plants growing at the edge of their hardiness, but these plants can be killed or severely damaged in typical USDA Zone 5 conditions. Perhaps you’ll think twice in the future before putting something less-than-hardy in the garden. Good mulching and watering habits, and planting in the spring to give plants an entire growing season to become established, will increase the vigor of your plants and may help minimize winter burn. Another virtue of gardening is that it forces you to look forward. So keep last winter’s lessons in mind as you clean, prune, maintain, and perhaps replant this spring.